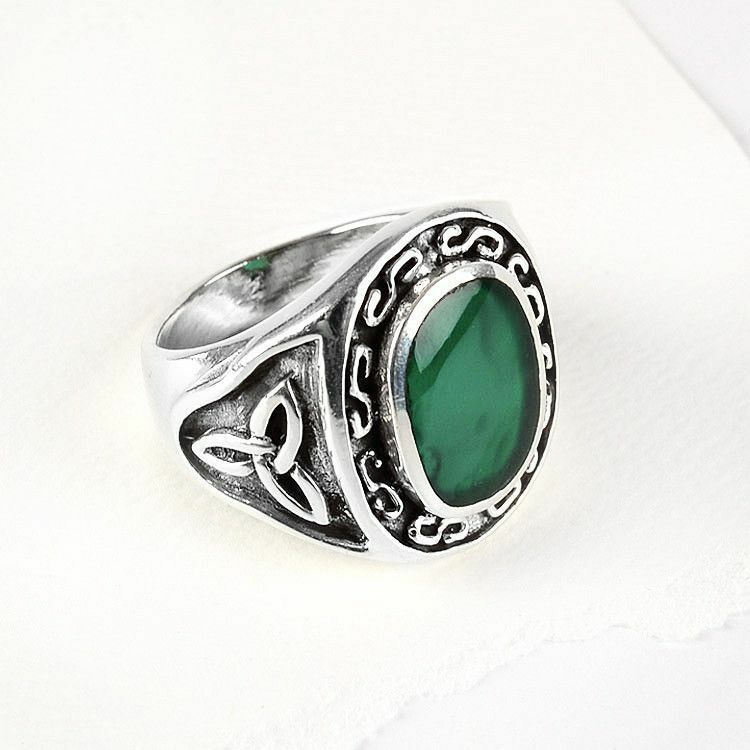 This dark ring is made of an inlaid Mountain Jade gemstone and sterling silver. 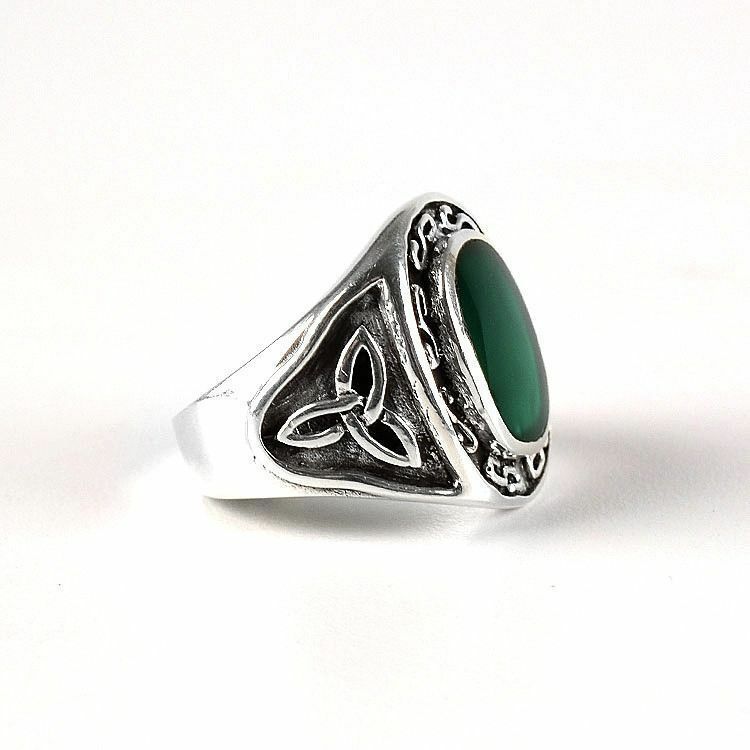 It features a cool Celtic design on either side of the stone, which measures Approximately 7/16" x 9/16". 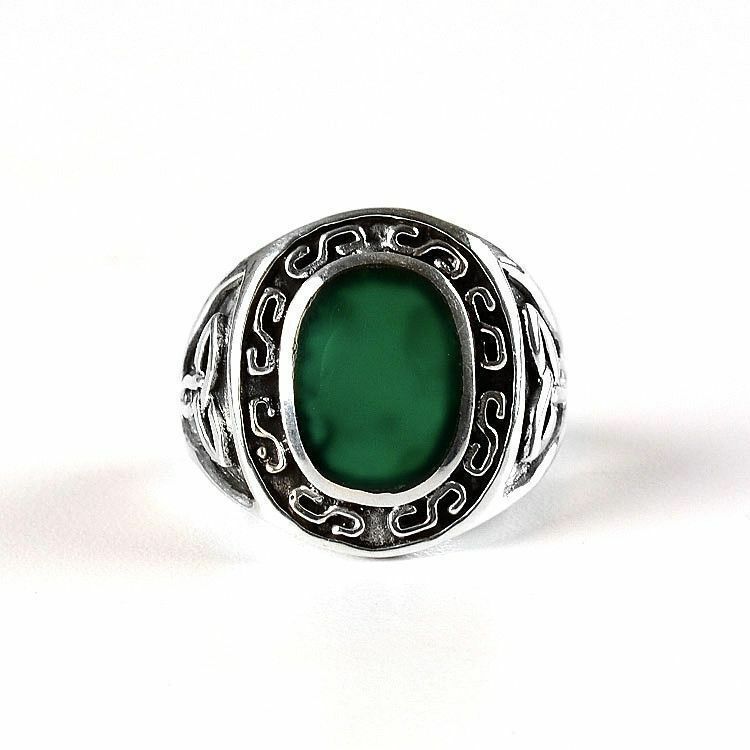 This men's ring would make a statement to a variety of outfits. 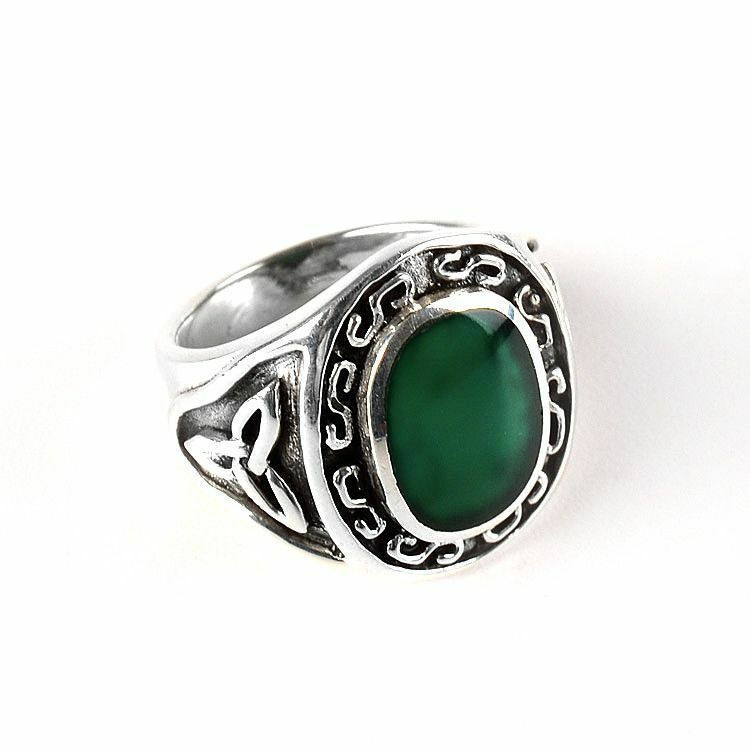 Stones measures about 7/16" x 9/16"